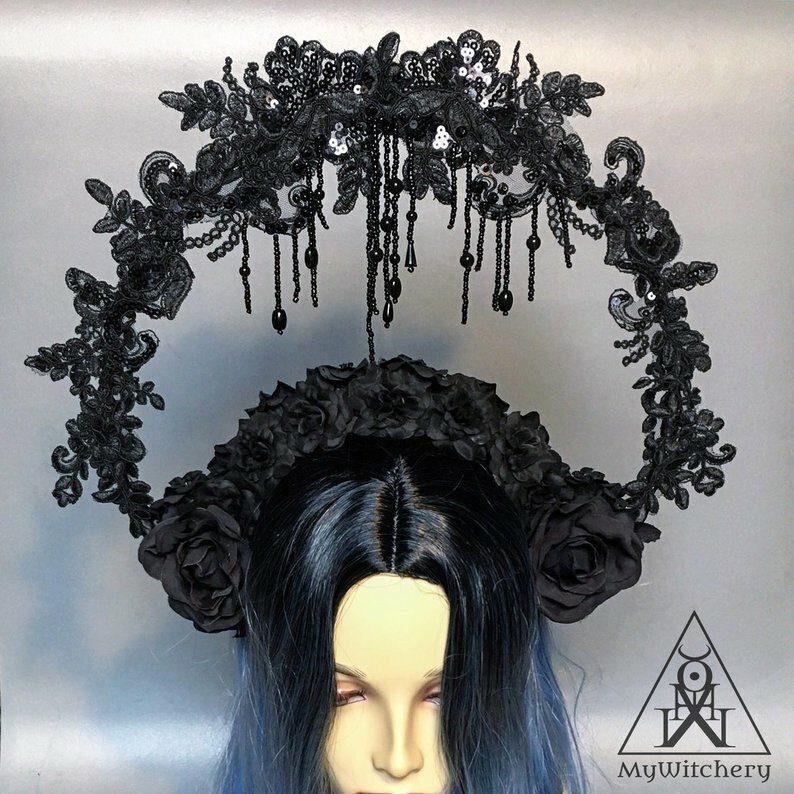 Introducing MyWitchery, an Etsy shop based in Germany. 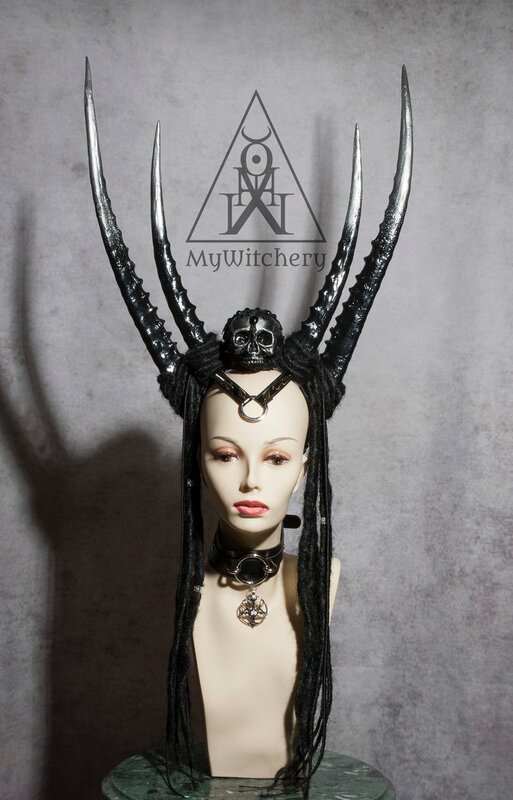 They specialize in haute gothic and fantasy headdresses and headpieces. This piece is their "Gothic Moon Halo" headdress, a spiked crown using lace and beadwork. 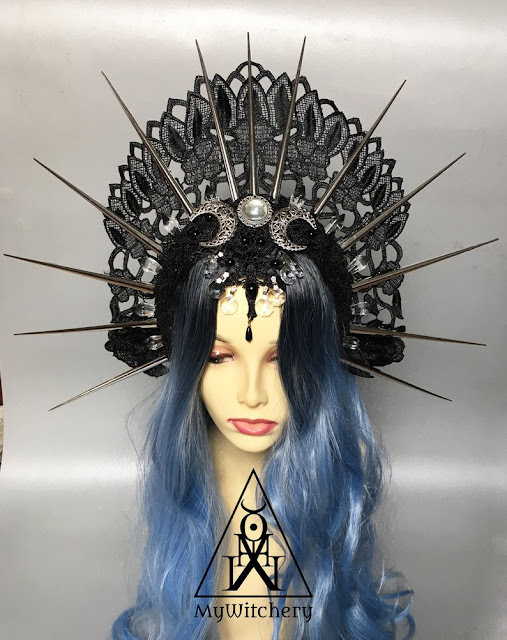 Along the same vein (pun intended) here is their Crescent Moons Headdress, which includes a wig and veil. Would you have the balance and walking skills to keep this fabulous Anubis Crown upright? The horns are so long! I've never seen a Wreath Headdress like this before! How delightfully creative and unique! Enjoy browsing the rest of the MyWitchery shop! 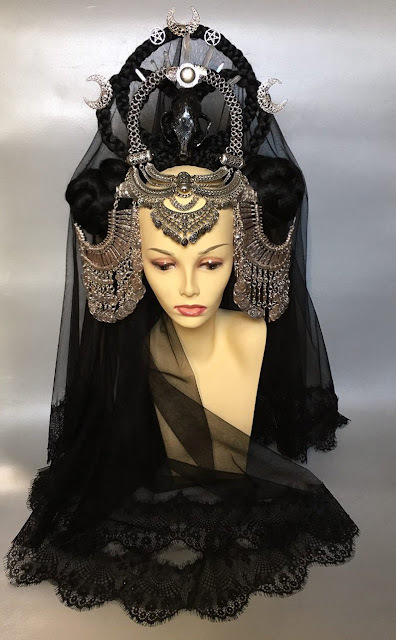 Where might you wear one of these headdresses? Let us know in the comments below. 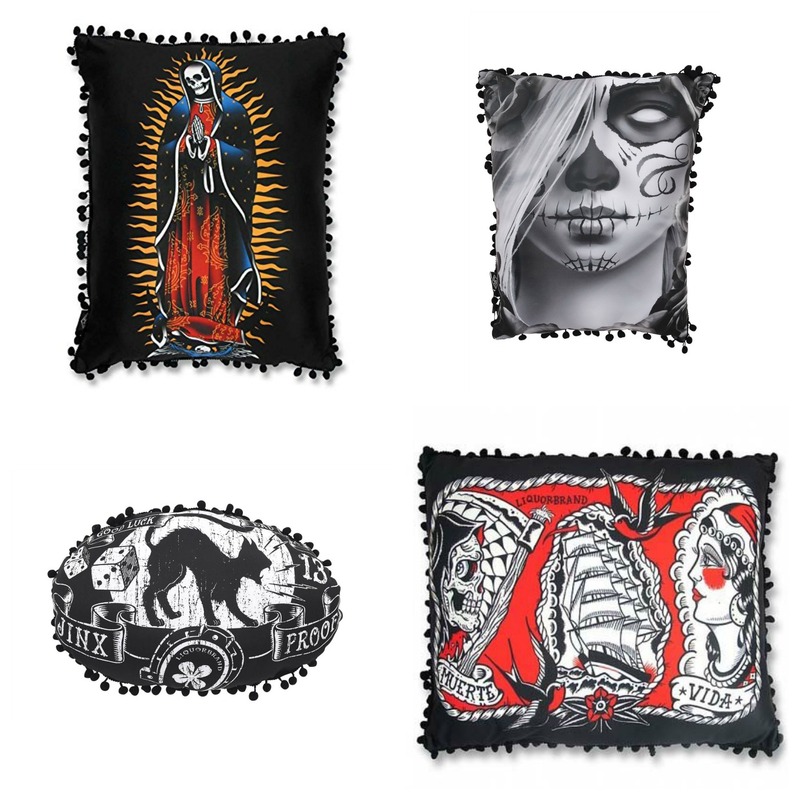 I wanted to show you the new home decor pillows from Liquorbrand. 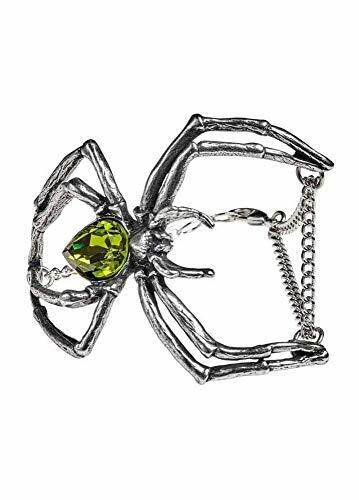 Several of them are too "tattoo" and "rockabilly" for my personal tastes, but I know Goth Shopaholic has lots of dark readers with slightly different and unique tastes and styles. 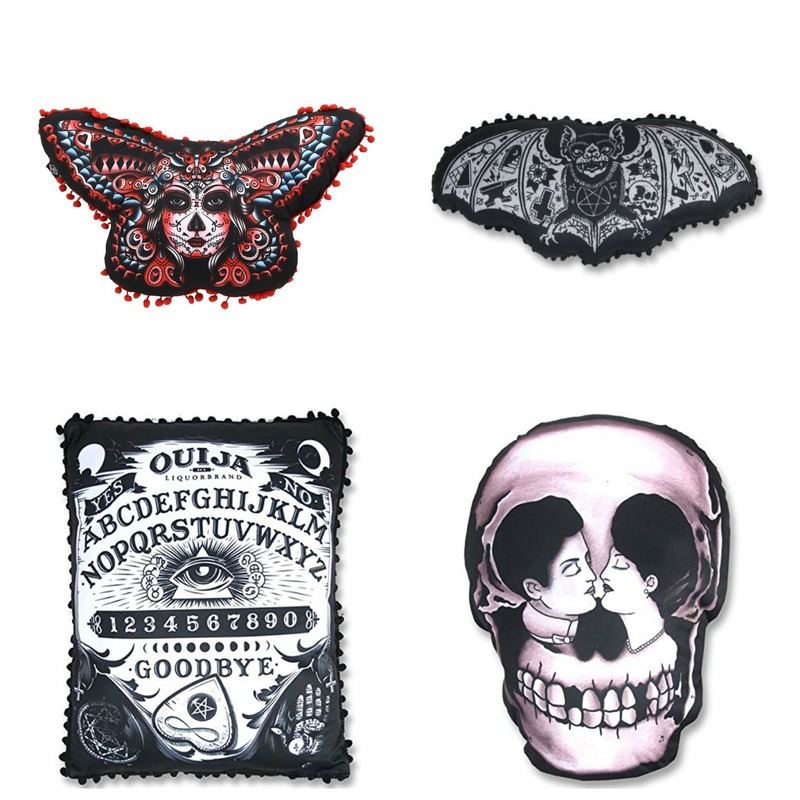 My favorite pillows from their new collection are the Deaths Head Moth-esque "Butterfly Day of the Dead" pillow; the "Tattbat" pillow, the Ouija pillow, and the Victorian skull-shaped pillow. Would you put these on your bed, sofa, or fainting couch? Let me know in the comments below! Shop for Liquorbrand pillows on Amazon and on eBay. 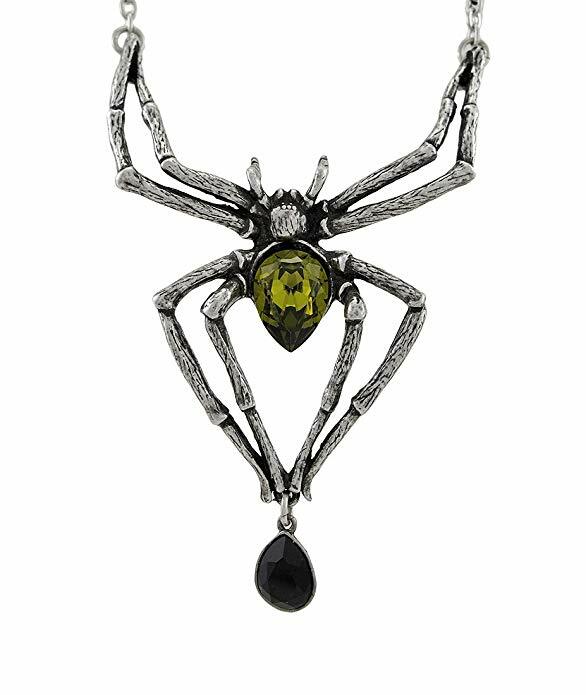 Spider-loving goths, take a look at Alchemy of England's new line of pewter jewelry: "Emerald Venom." Each piece is adorned with an emerald green Swarovski crystal. I probably wouldn't choose to wear all four of these pieces at the same time, but I'd like the option to pick and choose which items to adorn myself on a given day. Perhaps the earrings and matching bracelet one day, and the necklace and ring another? 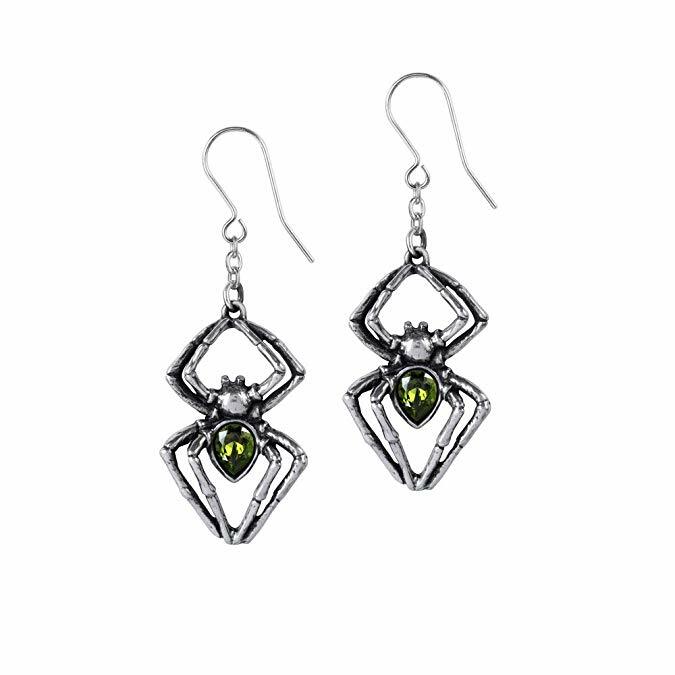 You can also shop for Alchemy of England's Emerald Venom jewelry on eBay. My web wanderings lately have led me to late-night sessions drooling over Rococo style furniture. (You can read up about Rococo art and style if you are fascinated by this scrolling, luxurious, theatrical decor style). 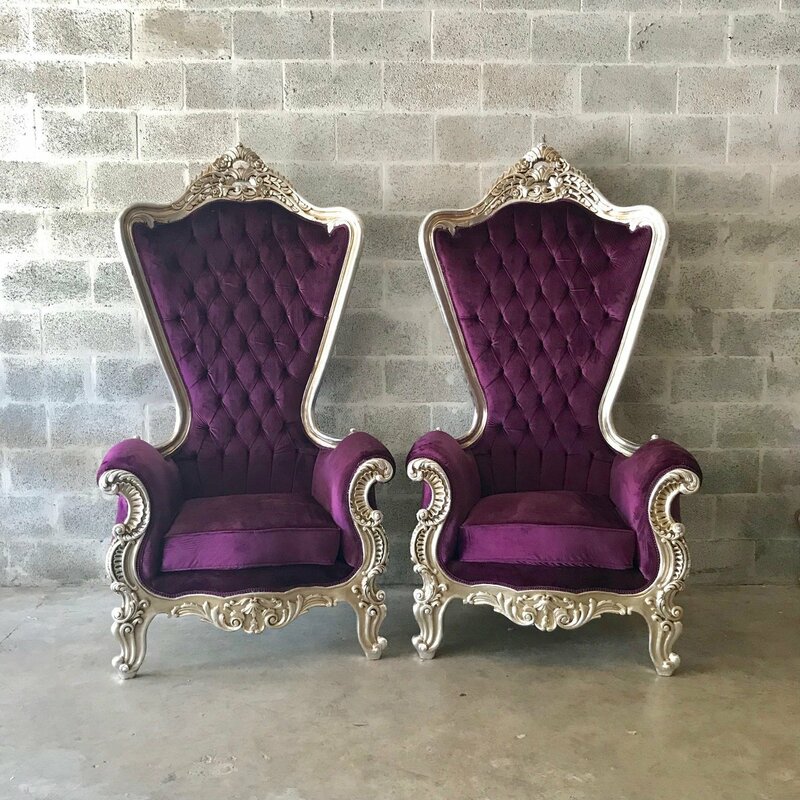 These antique Rococo throne chairs were made in the early 1900s. 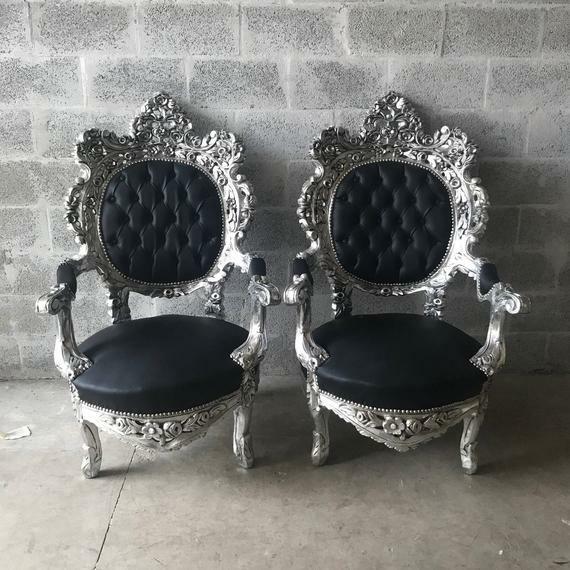 They've since been refurbished in tufted black leather and silver leaf. How fabulous it would be to perch upon them in a corseted gown sipping tea or a cocktail! 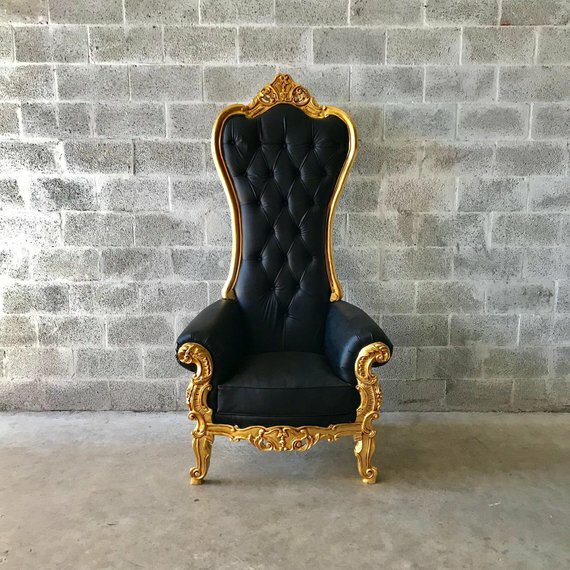 Not many goths care for the color gold, but I wanted to show you this fabulous rococo Black Leather Throne Chair. The shape is so unusual. If you're a goth who incorporates some jewel tones into your wardrobe and decor, here are some luxurious amethyst purple throne chairs. 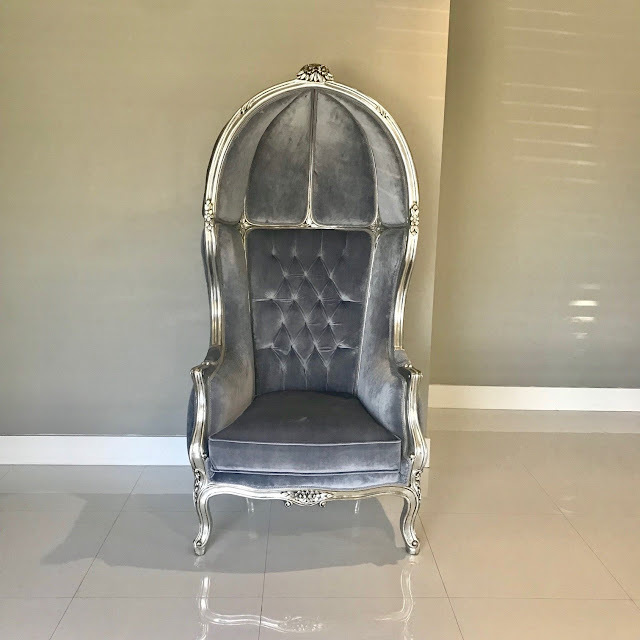 Speaking of unusual shapes, check out this silver French balloon chair. 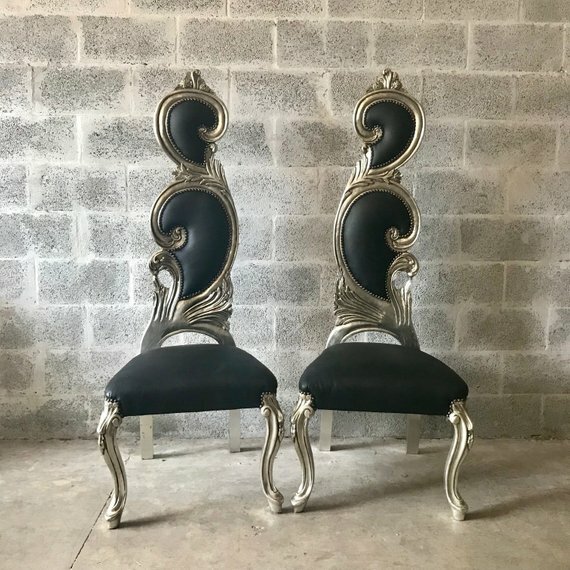 I love the unusual curving, swirling shapes of these high-backed black Baroque throne chairs. So unique! 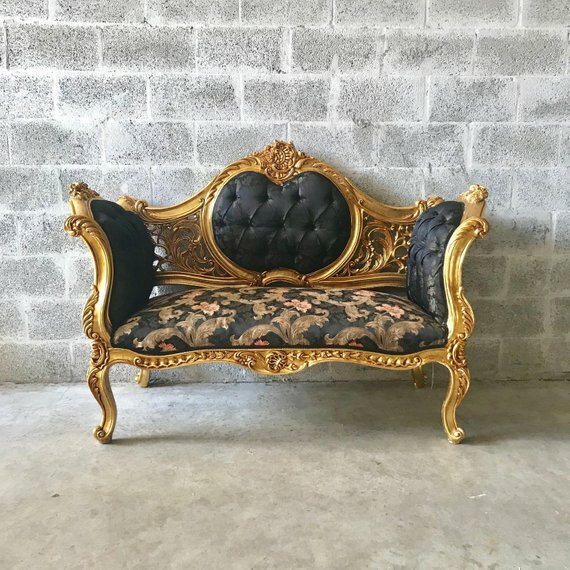 Here's a Baroque throne sofa that's probably too gold for most goths, but I wanted to show you the intriguing leafy upholstery pattern. 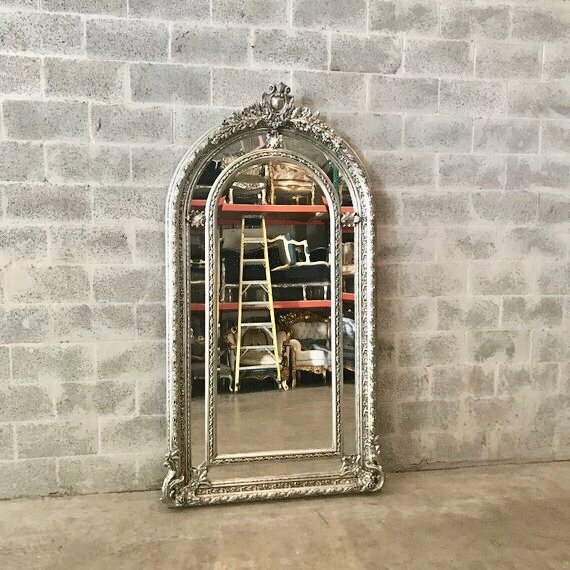 Imagine stopping to check your hair and makeup in this silver French floor mirror before popping off to the clubs? 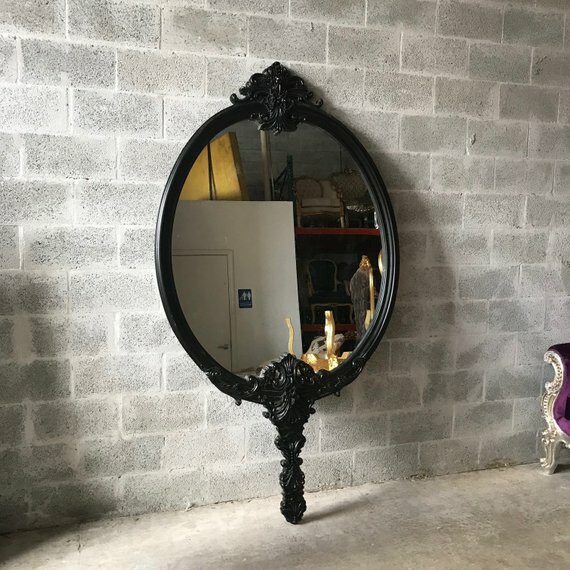 Or perhaps you'd prefer peering into this seven foot tall Baroque mirror made to look like a hand mirror? 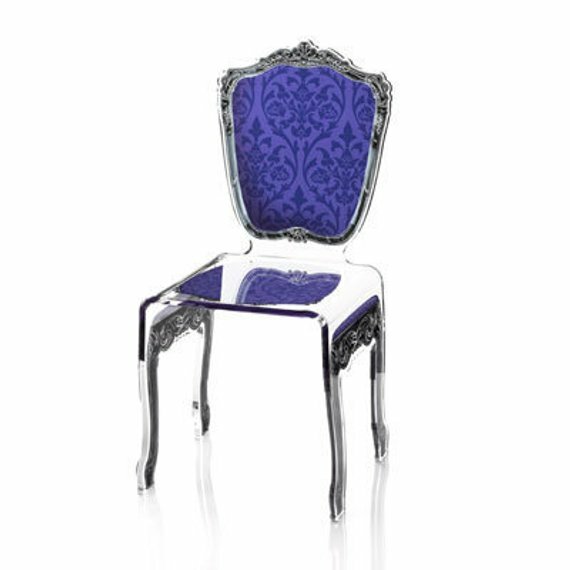 Modern goths might like this acrylic Baroque style purple chair. Check out the #royalgoth hashtag on Instagram for more inspiration. I drank even more hot tea than normal during Seattle's recent #Snowpocalypse2019. I just kept a kettle on the stove all day long, but wish I'd had this Jack Skellington teapot to brew the tea in instead. Jack would surely cheer my snow-weary spirits! 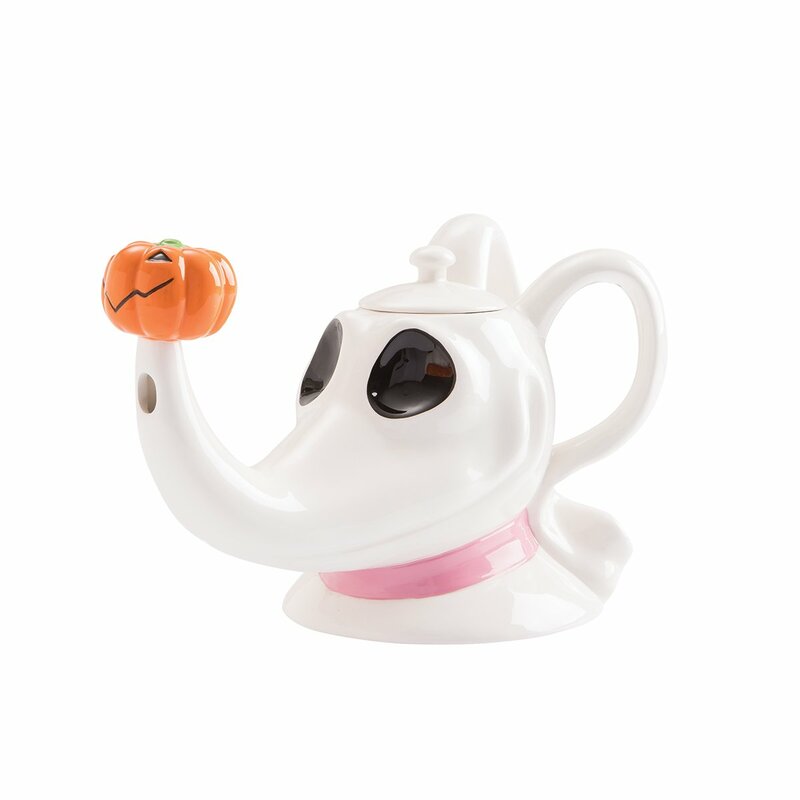 Trying to be less of a shopaholic this year, I was wracking my brain trying to find a better excuse to own this Zero teapot other than "The Jack teapot might get lonely." Then it occurred to me that I have tea-drinking friends who prefer herbal teas and tea-drinking friends who prefer caffeinated teas. This way I could put the black tea in Jack and the herbal in Zero, or vice versa! Ta da. Shopping dilemma solved! 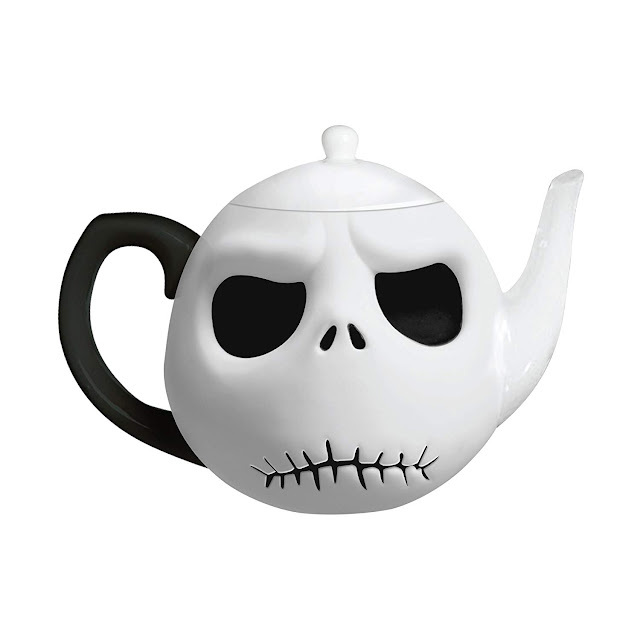 The Jack Skellington and Zero teapots are also available on eBay. .. and I find that hysterical and an admirable use of their time! At an Etsy shop called Modern Marie Antoinette you can find a morbid little creation of a Black Plague Castle Dollhouse. 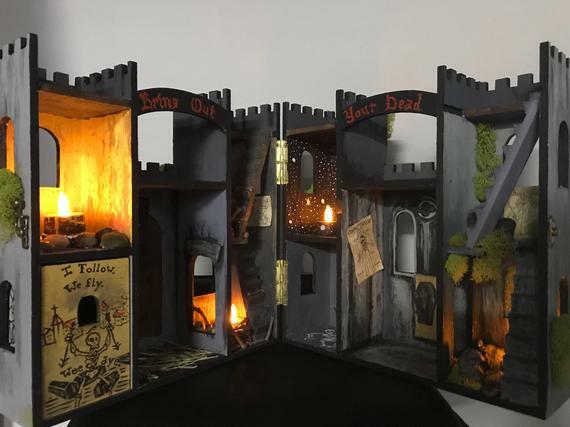 The playset includes three wooden Plague Victim figures, two wooden Plague Doctors, a hand sculpted catacombs and graveyard, tea stained etchings, and real moss. 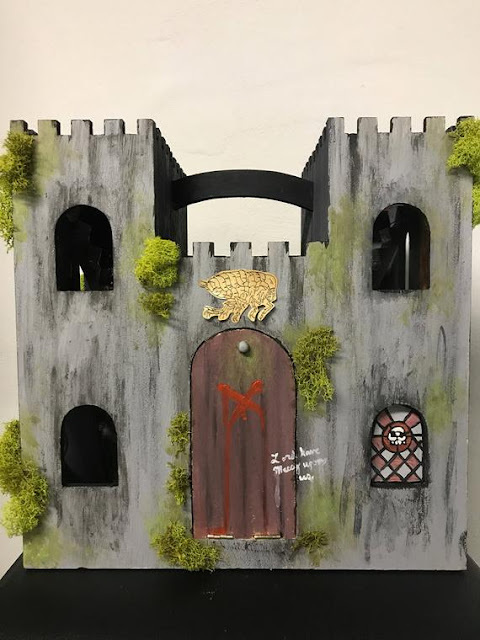 Imagine the rainy afternoons you could while away recreating historic tragedies on a small scale! Soon comes Spring, with its ghastly emphasis on pinks and pastels, light colors and painfully sunny days. One must make what one can of it, adding a spot of darkness here and there to keep our macabre spirits up during this challenging time. 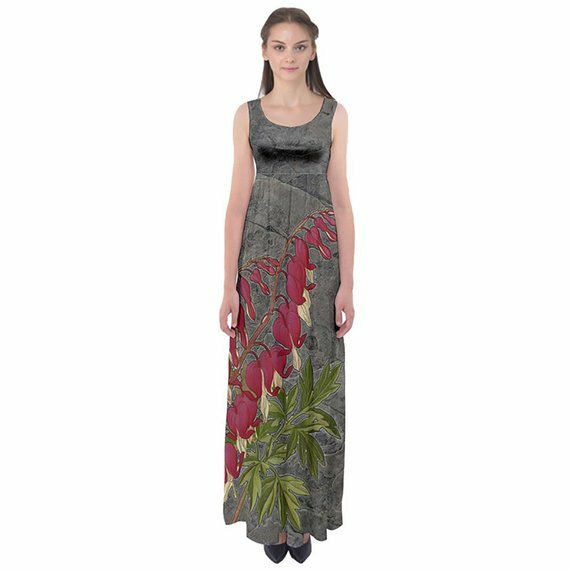 I wanted to show you some of the delightful items from Valkyrie Apparel Tees on Etsy. Their clothing is "subtly subversive" and made from a luggage-friendly rayon or polyester and Spandex blend. Some of these might be suitable for some of my "apothecary goth" or "botanical goth" readers, should I have any. This "Bleeding Heart" empire waist dress is part of Valkyrie Apparel's "Wicked workwear" line. If you're looking for a shorter dress, how about this "Wolfsbane" tunic dress? I love the splash of purple blossoms. 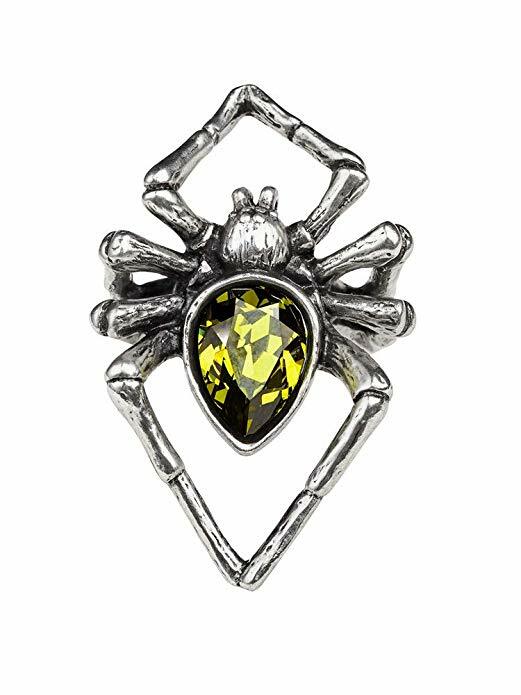 You could wear this Deadly Nightshade Tunic casually and quietly, waiting to see if anyone notices and remarks upon it. 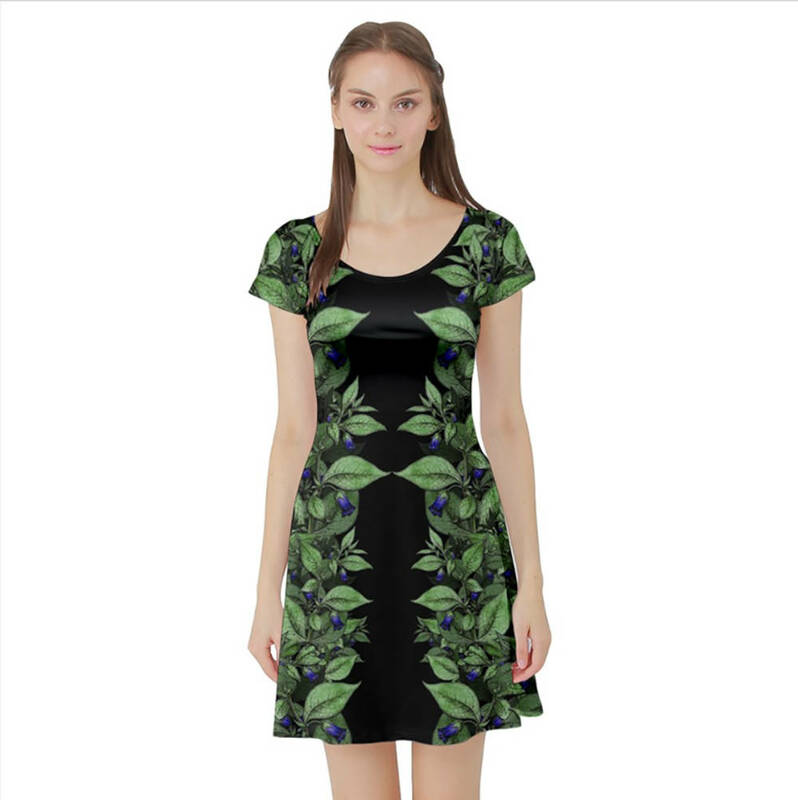 If deadly plants don't entice you, perhaps this "Running with Scissors" tunic dress might catch your eye. Surely your employer wouldn't complain if you wore this "Cemetery Gates" tunic dress in the workplace? Cheers to a darker, drearier Spring ahead!